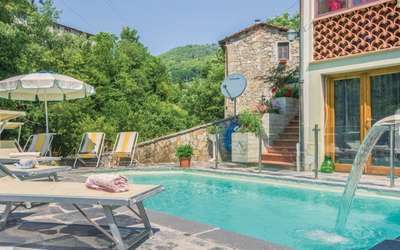 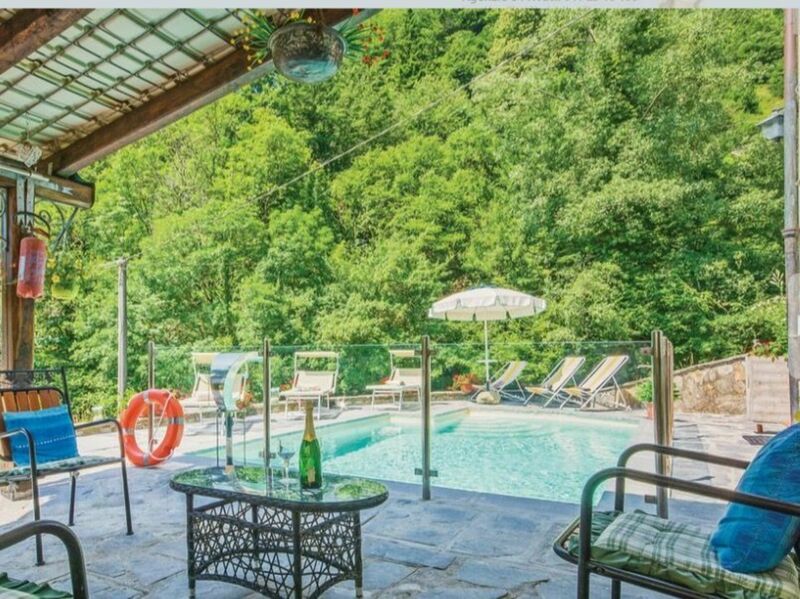 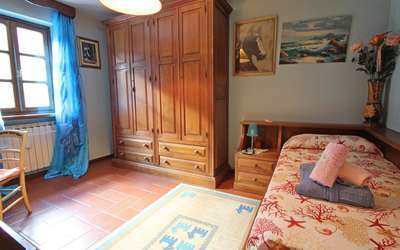 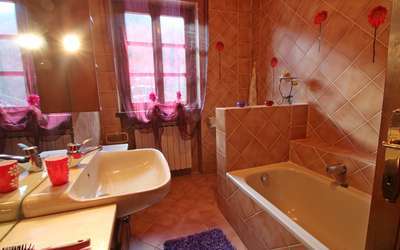 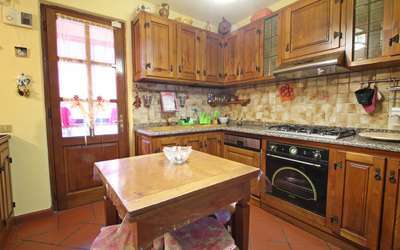 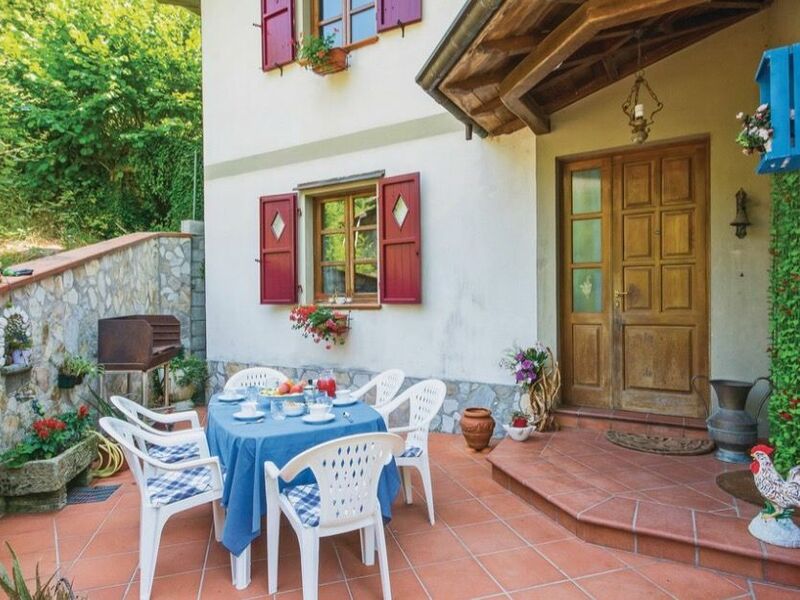 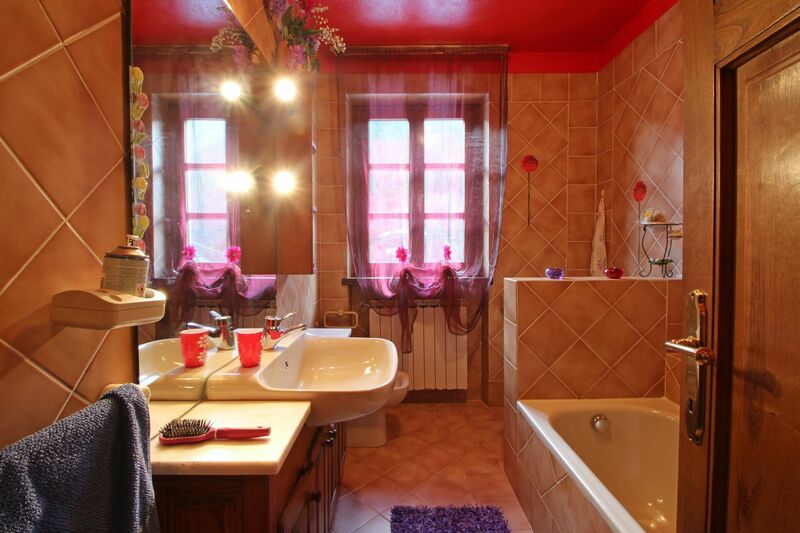 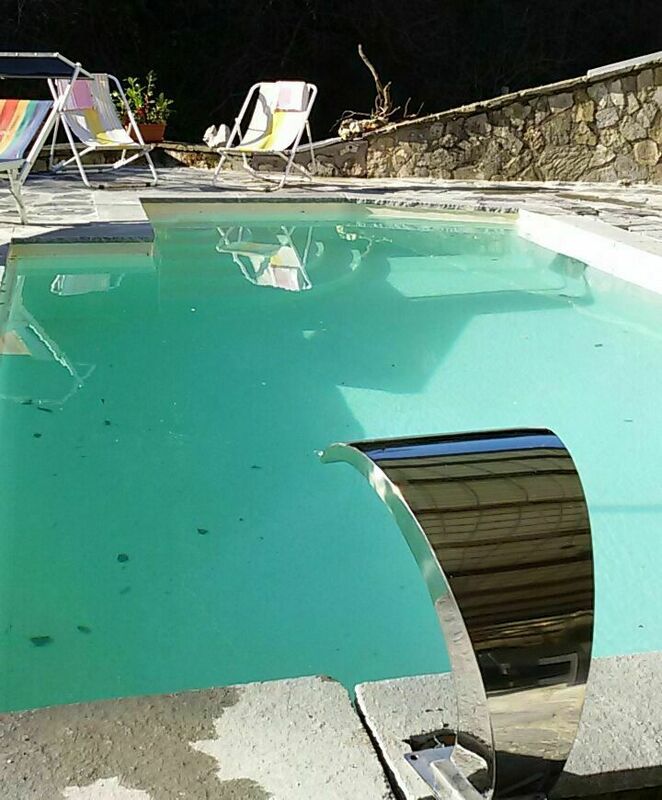 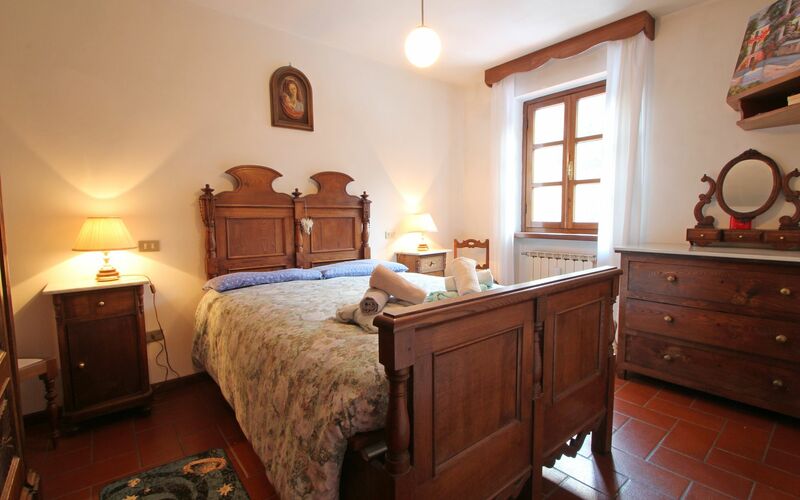 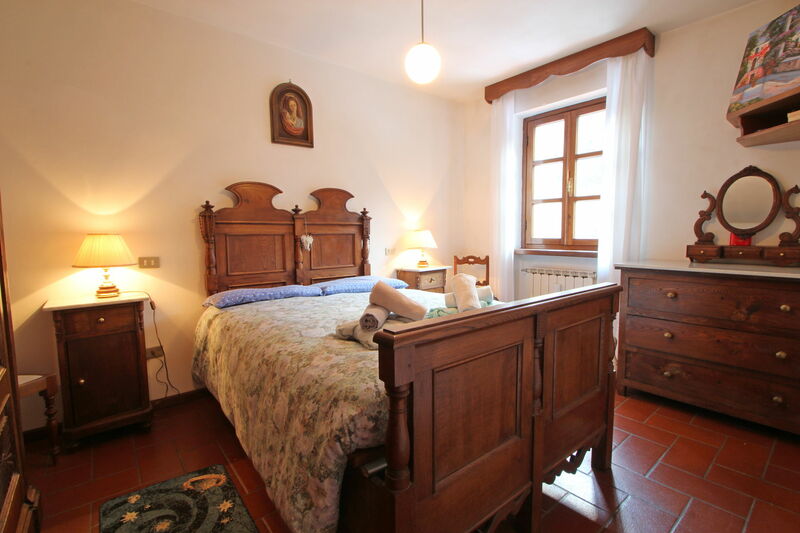 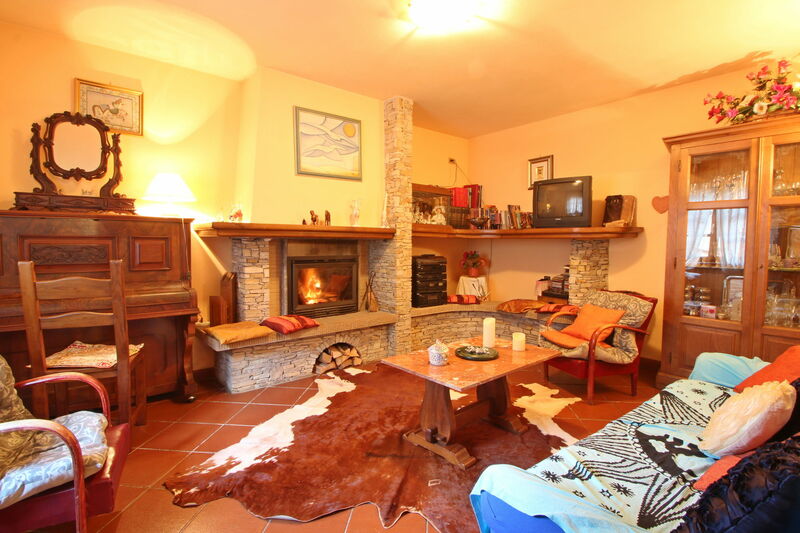 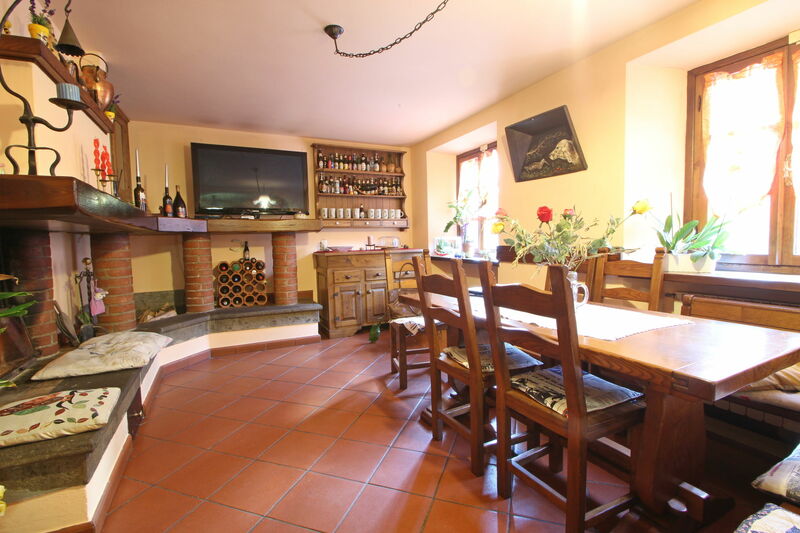 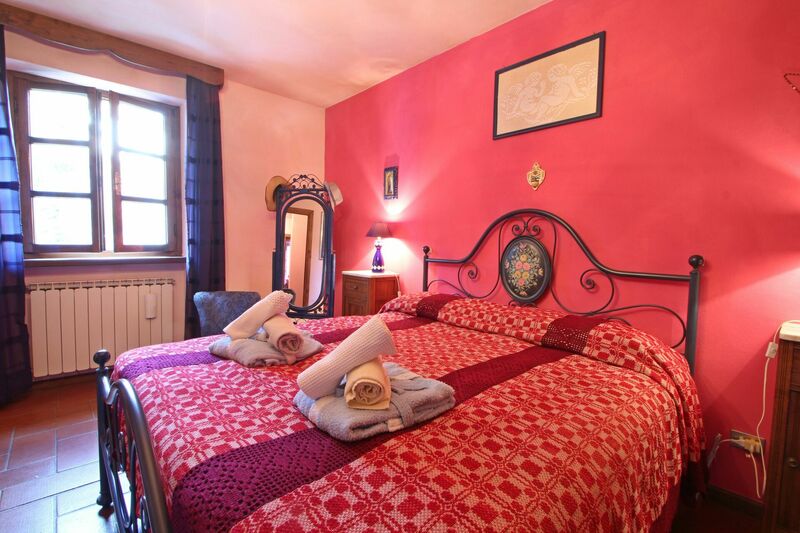 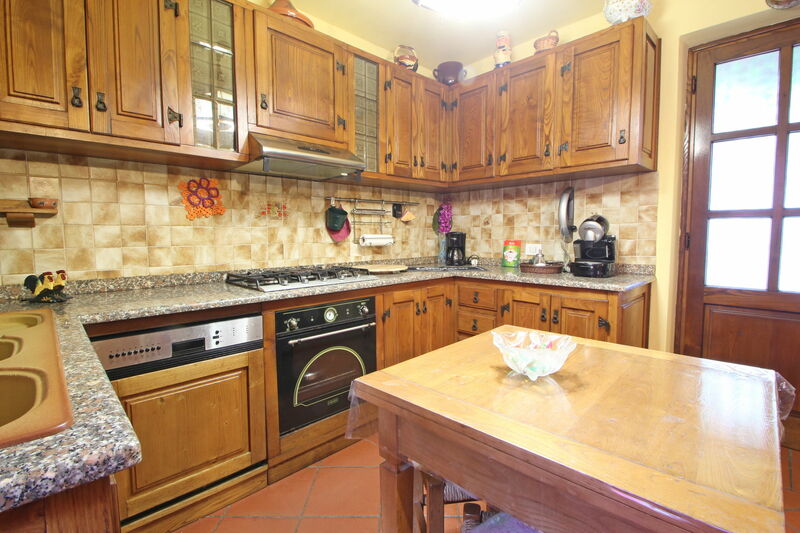 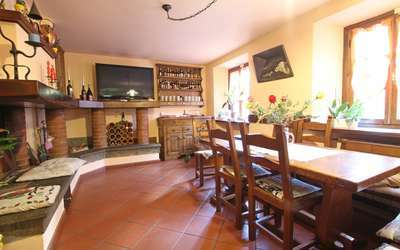 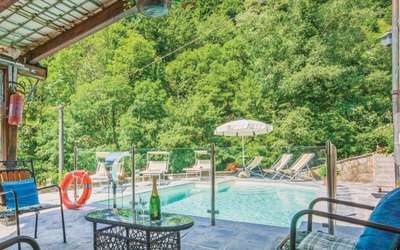 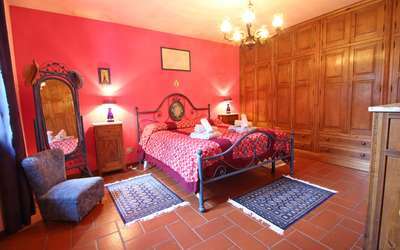 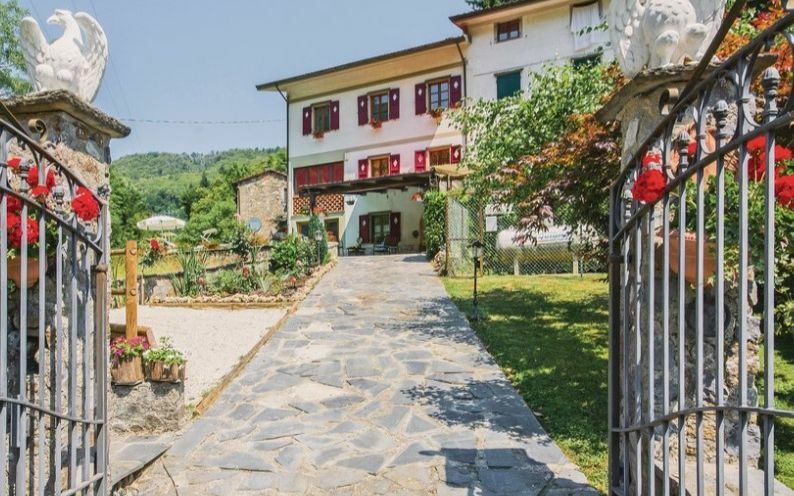 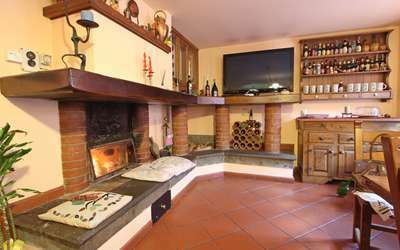 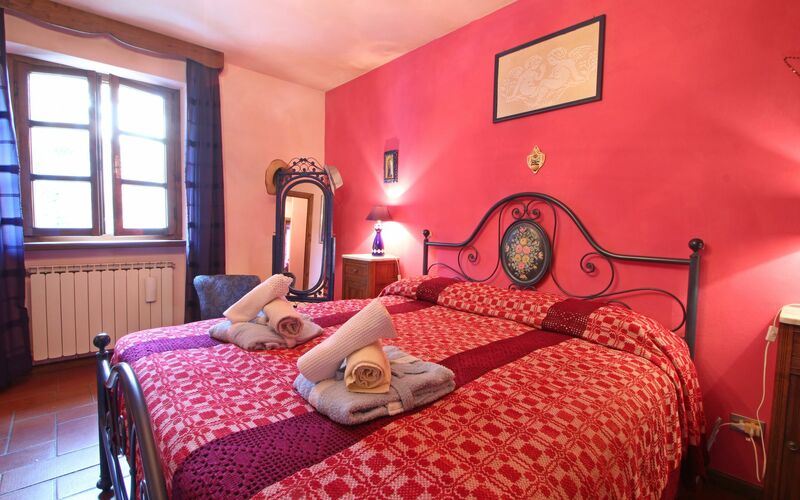 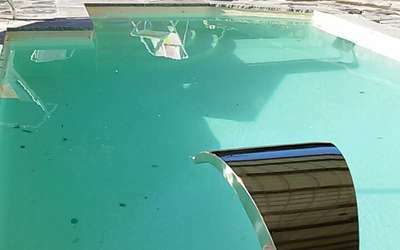 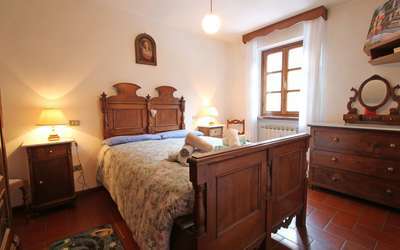 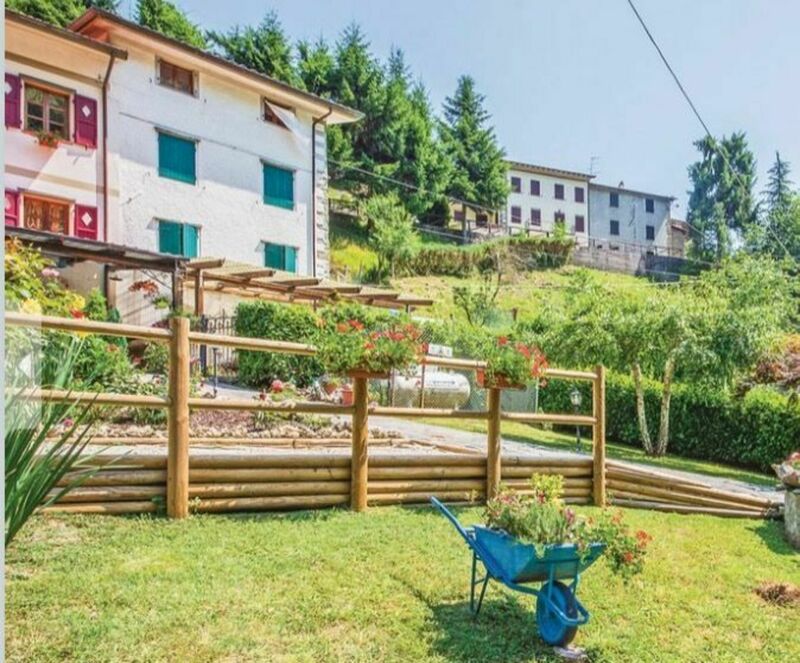 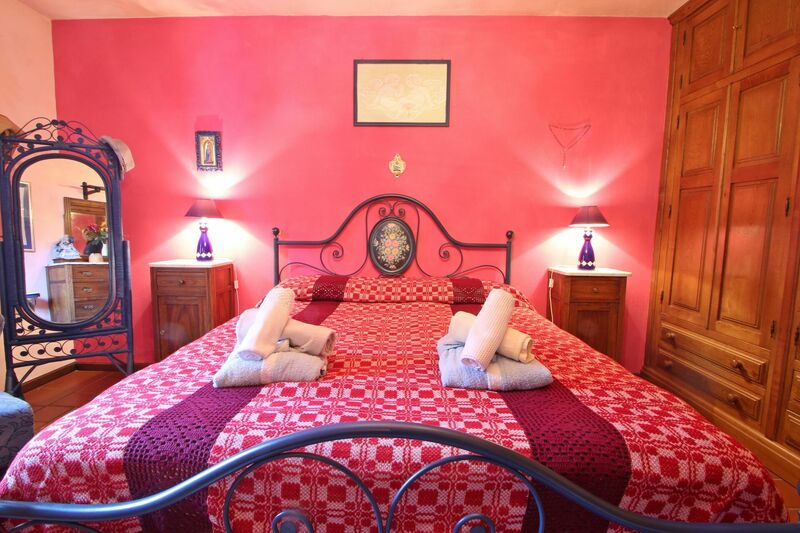 Holiday House with private pool in the green Garfagnana, precisely in Pascoso / Pescaglia. This area of ​​Tuscany is famous for its ancient villages and landscapes where you can go mountain biking, trekking and much more. 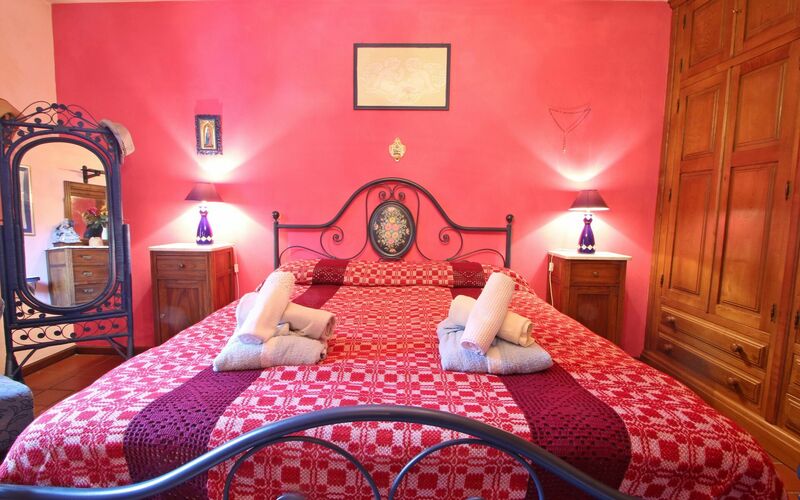 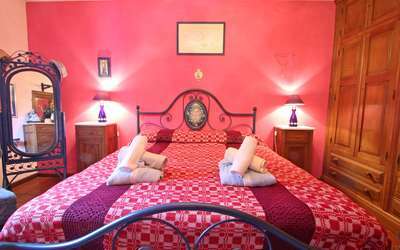 The Maresa vacation home is a portion of a house with a tiled garden and a private pool. 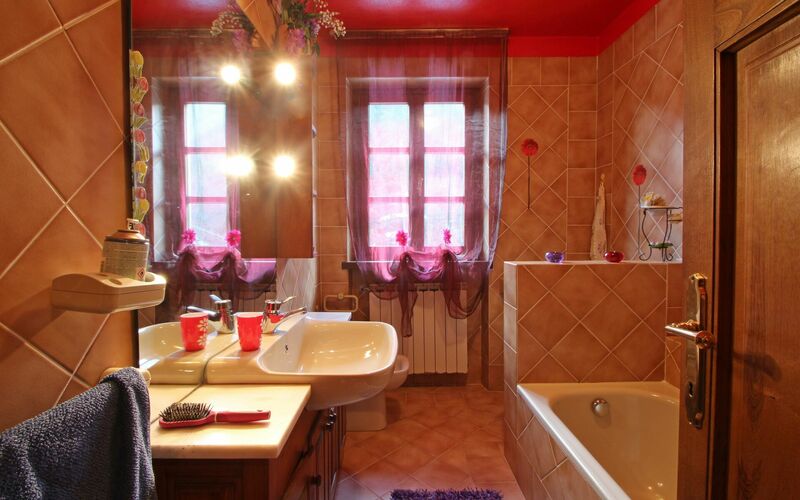 In the other portion of the house live the owners who are absent most of the day. 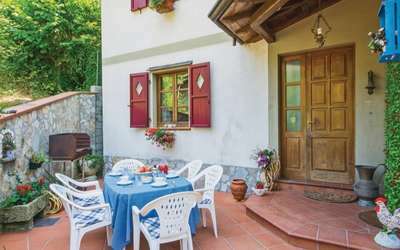 Entrance to the property is in common where 1 parking space is available and the other places are on the street below the house. 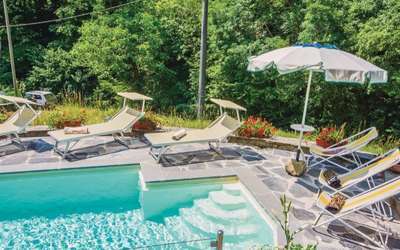 Near the owners' entrance, hidden by sheets and plants, there is a private swimming pool of 4 x 6 meters and a depth of 1.40. 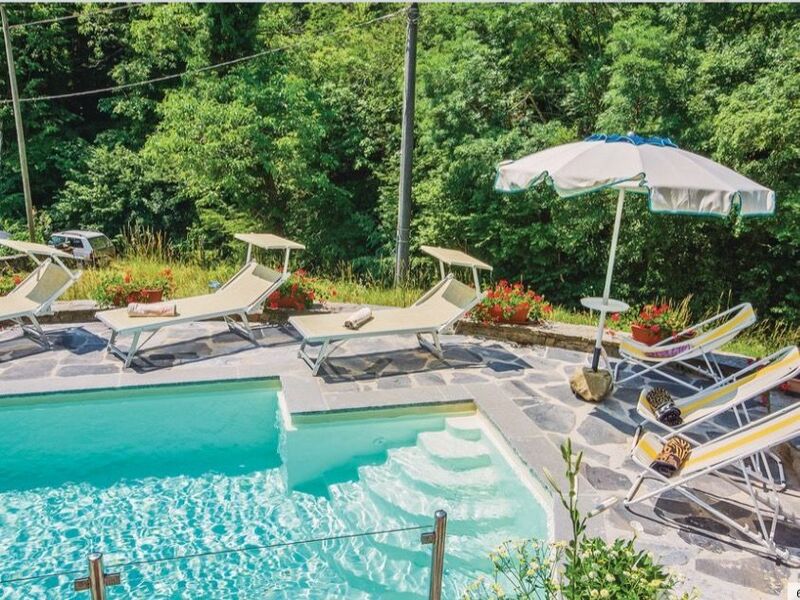 The pool area obviously has sun loungers and deck chairs with parasol. A few steps higher there is a terrace with a dining table and entrance into the house. Below the property is a small stream which makes the area very cool in summer. Pets Allowed. 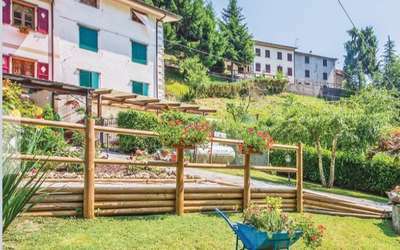 Garden not fenced. 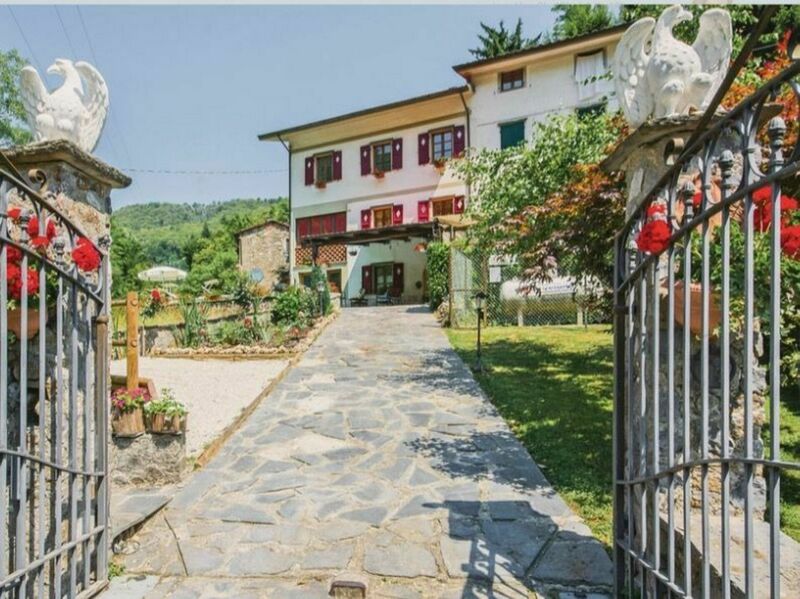 Entrance with stairs leading to the upper floor. 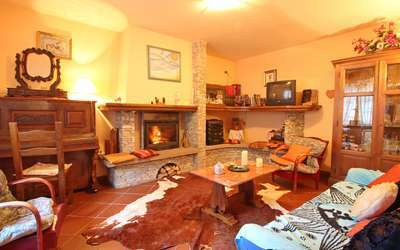 On the left living room with TV, fireplace and sofa. 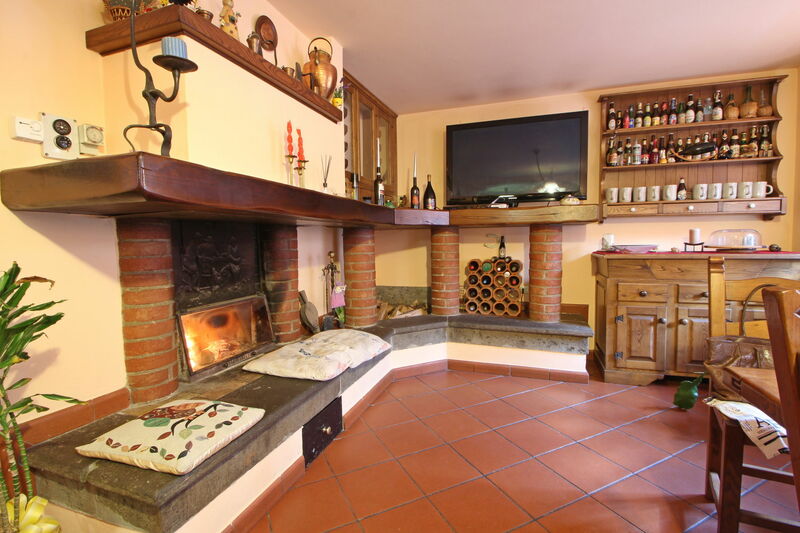 On the right a large kitchen with TV, fireplace, table for 6 people, dishwasher, microwave, espresso and American coffee machine, toaster, fridge / freezer and covered balcony with washing machine. 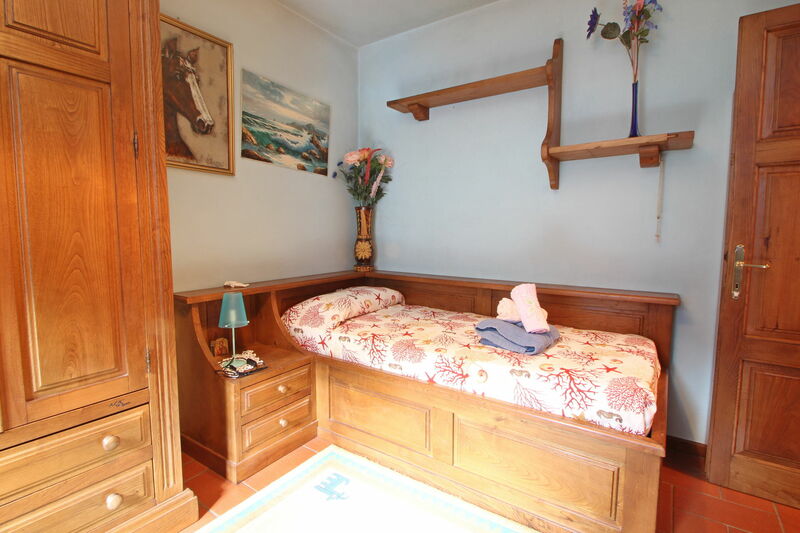 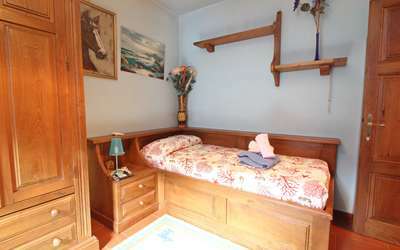 Single bedroom and additional camp bed. 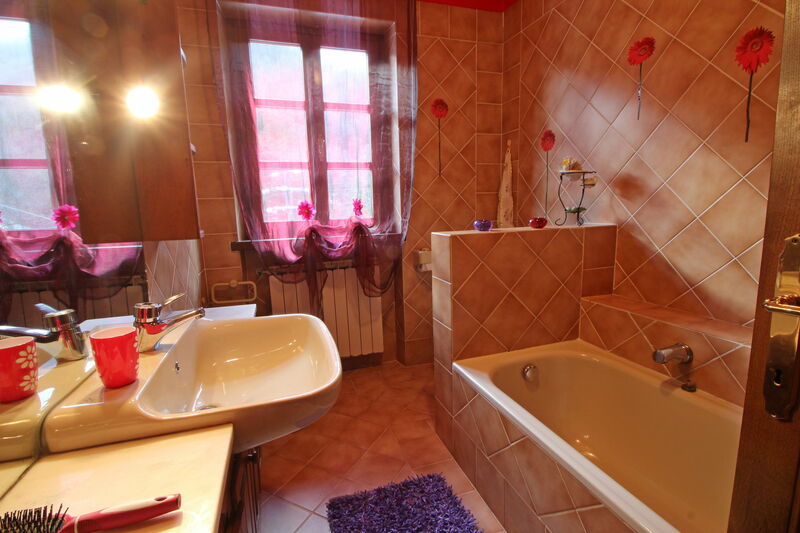 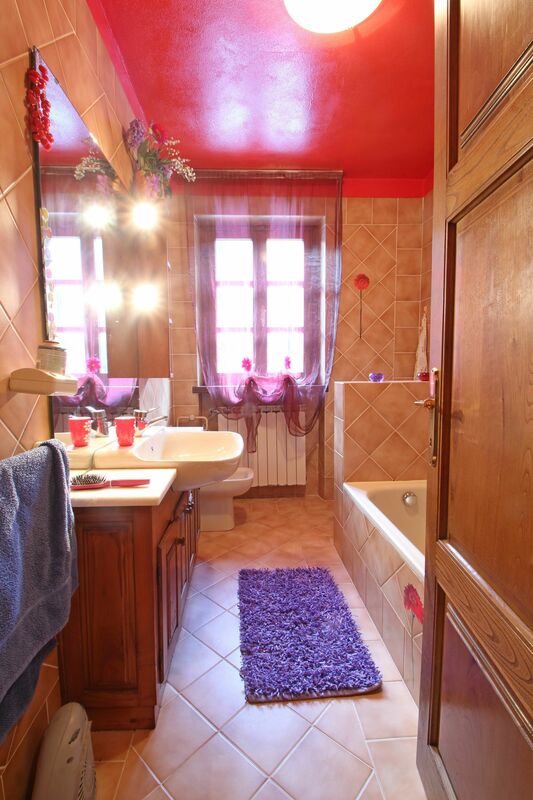 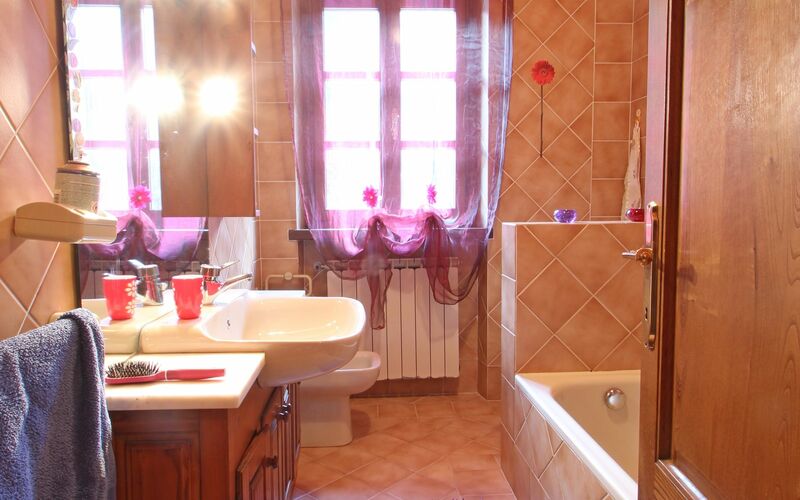 Bathroom with bath, bidet, toilet and sink.